If you’re not a member of Webcomics.com, here are some of the topics you missed out on. 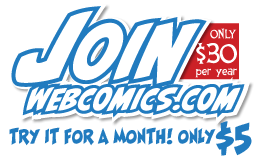 Get your access to this daily dose of webcomics news and information now! On the Spot Hot Seat critique: We visited participants site on a random day and talked about what was going on with the comic/site on that day (no archives). Webcomics Weekly: When the first of four scheduled return recordings of the seminal Webcomics Weekly podcast was released, Webcomics.com members got access to it before it went public. Business Line of Credit: Way better than a credit card — and a renewable source of quick capital. We explain how it works. Health Insurance for Self-Employed Cartoonists. 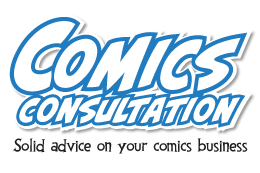 Uploading comics in bulk (ComicsPress and Comic Easel): A step-by-step tutorial to adding a large number of comics to your site at once. Mailbag: Digital Download Update: A member asks for the latest developments in the Evil Inc monthly pre-release download. Custom menu icons (ComicsPress and Comic Easel): A step-by-step tutorial for adding custom icons to your menu. Was that huge traffic spike real? When you checked your stats this morning, you had a huge spike in traffic. Then you checked again later and saw that it disappeared. What just happened? We give you the explanation. Archive Dive: Stop giving them the finger! In this piece from the Webcomics.com archive, we revisit a post in which I advised against a rather lazy drawing habit. 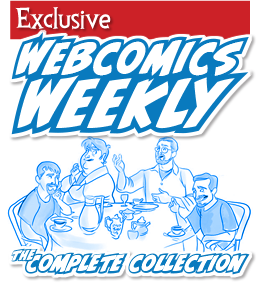 New Site Feature: The Webcomics.com Calendar: We unveiled a new self-promotion feature of the site. You can post upcoming events and appearances in the Webcomics.com Calendar! Patreon: Five Tips: Five ways to help push your Patreon campaign towards success. Copyright and Trademark review: It’s a complicated subject, and it perplexes many of us. Here’s a breif review of the facts you need to understand it better. Lettering Hot Seat: The Hot Seat critiques are where we discuss the craft of comics in a meaningful, hands-on way. In this round, we’re focused on lettering and word balloons. Harvey Award Ballots: The nomination round of the Harvey Awards is officially underway and any professional webcartoonist (that’s you) is eligible to nominate work they find inspiring. Motivational Sketch series — A case of the Willies: After a brief hiatus, we jumped back on the Motivational Sketches bandwagon. This week’s theme was A Case of the Willies. Ink washes in b&w offset printing? Holy ship! Are you prepared for the increases in shipping costs? What do you wish you’d have known when you started? How broad of a genre is too broad?